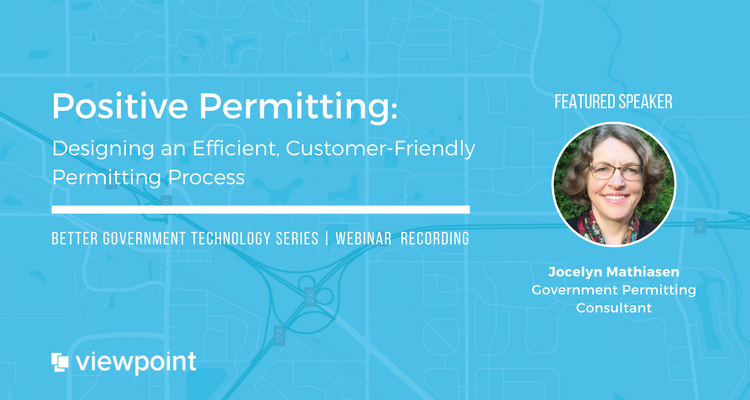 In this webinar, government permitting expert Jocelyn Mathiasen provides municipal managers with a guide to making permitting functions efficient, effective, and customer-friendly. While implementing new technology is an important element to improving permitting, governments must also focus on other areas, from streamlining processes to creating accountability across departments, for their technology investments to truly pay off. Want to take this presentation with you?